There has been a huge increase in demand for CBD oil in recent times. Partly driven by new medical research and partly by the rise in online articles from journalists as well as personal advocates, there’s no doubt we’re all more aware of its existence and the potential benefits. But is CBD oil legal? Well, as with most things to do with cannabis, it depends on where you live. The answer can be a little complicated. It’s generally seen as the non-psychoactive part of cannabis and has been shown to have some impact on individual health. It’s often referred to as medical cannabis and is most readily available nowadays in oil form. However, you can grow cannabis plants that are high in CBD but very low in THC (the stuff that makes you ‘high’). CBD is generally legal in a lot more countries and regions than it’s psychoactive counterpart, THC. If you look at the US for example, while some states have legalized cannabis for both recreational and medicinal use, many have simply legalized the CBD component. Most commercially available CBD oil is extracted from legal hemp which is a widely grown cash crop used in a number of industries around the world. The benefit of this is that hemp contains little in the way of THC, in fact less than 0.3% in most cases. Where the confusion often arise is when you have cannabis oil which can have high levels of CBD but also high levels of THC. That means it’s generally seen as a narcotic and not a medical treatment. This an area that can often can get pretty confusing when you try to research it online. There is evidence that CBD and other forms of cannabis can help with some medical issues. One of the long standing pieces of research has shown how it can be used to reduce seizures in some epileptics who don’t respond to other treatments. Access to medical cannabis, and the problems associated with it, was highlighted in the UK recently with a mother facing legal sanction because she tried to import it for her young son. It caused such an uproar that special measures were put in place to grant her that access. Later, legislation was introduced to make ‘cannabis derived’ products available on prescription. In the US, there have been cases of people crossing from states with legal sanctions to more liberal ones to get the medical cannabis they are looking for. This hasn’t always been just CBD oil but is often cannabis oil which has higher levels of THC (often used to help with pain control). Other research on cannabis, has looked at its effect on helping with cancer treatment during chemotherapy and the impact on people suffering from mental health conditions such as PTSD. The truth is that a lot of work needs to be done in many areas to find out the full impact that cannabis and it’s derivatives may have. 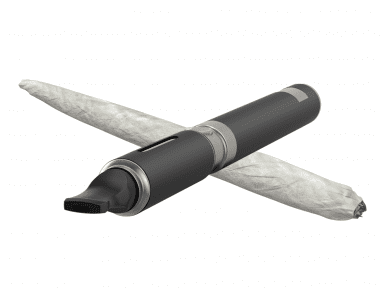 The good news that making it legal in many places is giving rise to more focused research. The problem we see at the moment is how individuals often take small amounts to research evidence and blow them up into sensational cures. In some places, cannabis has gone from having a potential effect on conditions such as breast cancer to a near certainty in helping to cure it. Is CBD Oil Legal In My Country? There are some activists who believe that cannabis should never have been a controlled substance at all. This comes down to the United Nations who in 1971 came up with a treaty that was meant to control the use and banning of psychoactive drugs across all member countries. It’s the framework that many countries have used ever since and has, to a large extent, contributed to the delay in the legalizing of medicinal cannabis or CBD oil in many countries and regions. Is CBD Oil Legal in the USA? The first place to start, simply because this is where the biggest changes have taken place in recent years, is the USA. If you’re travelling across the country from state to state it legality can be pretty confusing. First, you need to understand that there is federal law and there is state law in the USA. Federal law, that of the whole country, says that cannabis is considered a schedule 1 drug under The Controlled Substances Act. That puts it on the same level as heroin and cocaine, which means the government think that there’s a high chance people will abuse it. The problem for CBD users is that this law also applies to any substances that are extracted from cannabis, despite it not being addictive or psychoactive. You may feel that this is pretty short-sighted but it’s the federal law and there’s no sign of it changing soon. It’s a situation confounded by the fact that CBD taken from industrial hemp is actually legal under the law (mainly because of the very low THC levels). Medical cannabis but not recreational cannabis is legal in many more states including: Connecticut, Florida, Delaware, Oklahoma, New Mexico, New Jersey, New Hampshire, and Georgia. The US mid-terms of 2018, however, may see a few more changes coming round the corner. Michigan voted to legalize cannabis for recreational use while Utah and Missouri want to legalize for medicinal use. To date 31 states have legalized medical cannabis usage. The one thing that we suggest, however, is you check the law in a particular state before you consider buying CBD oil. Getting it wrong can put you on the wrong side of the law even if across the state line it’s a different story. We’ve already outlined the changes in the law in the UK. It’s worth noting that CBD is not a controlled substance according to the law, if it is not derived from the cannabis plant. The new lifting of restrictions is aimed at giving access to medicinal cannabis via a doctor’s prescription. In the rest of Europe, legality varies from country to country. Denmark and the Netherlands have led the way in making CBD oil derived from cannabis legal. Some countries allow people to grow a small number of plants but manufacture is still carefully controlled and mostly hemp based. The key is the THC level that the CBD oil contains, and that applies to all areas of the EU. If it is less than 0.2% it is not considered a controlled substance. The exception is Switzerland which actually allows people to grow plants as long as they don’t exceed 1% in THC content. In Luxembourg, too, there has been a move to fully legalize medicinal cannabis and CBD oil extracted from the plant. There’s a lot of movement, particularly in countries like the UK, to head towards the legalization of cannabis and many are currently looking at Canada to see what happens there. As most people will be aware, Canada recently legalized cannabis and many countries are waiting to see how this pans out. Many believe that a successful transition could lead to an easing of the laws in many parts of Europe, including the UK. Each country has it’s old decisions to make about cannabis. In Australia it is still illegal for recreational use but many areas have made it legal for medical reasons. In New Zealand, CBD is still seen as a controlled substance but the legislation has been relaxed since 2017 with it being available on prescription from local GPs. In countries like Japan, however, the rules are still strictly enforced. If you are caught smoking cannabis or have it in your possession you could well expect a 5 year prison sentence. CBD oil, however, is big business in China. Russia decriminalized having up to 6gms of cannabis on your person a while back and are not as draconian as you might expect. The truth is that attitudes towards cannabis and particular derivatives such as CBD oil have relaxed in many parts of the world but there is still significant variation. We seem to be definitely moving towards a situation where countries are going to legalize not only medicinal cannabis but recreational use too. It may take a while in some parts of the world than others, but we’re getting there. In the meantime, you should always check the legal side of things when you visit a new area even if you don’t think there’s a problem with taking or buying CBD oil.